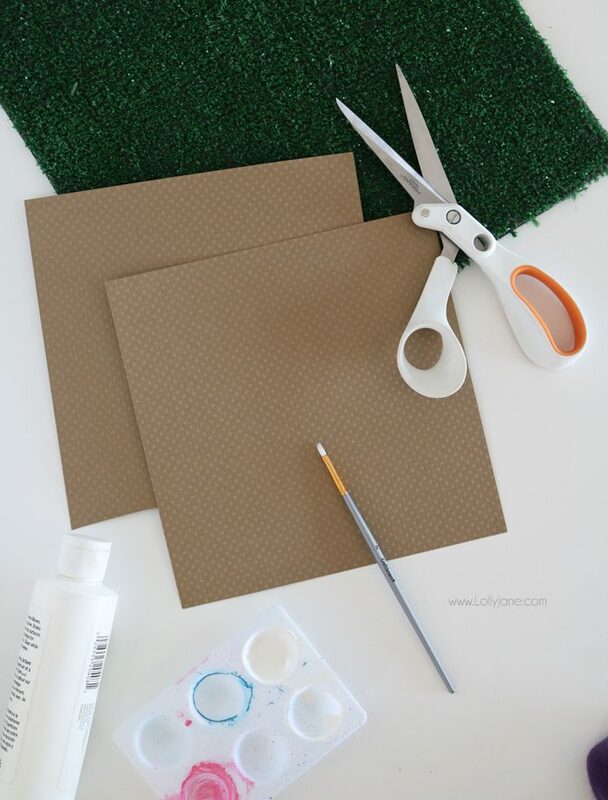 Cut 8×8 textured paper, (polka dot to look like football skin,) into 1.25″ strips, cutting in a subtle arch as shown. Once paint is dry, wrap around cupcake and seal with a piece of clear tape. 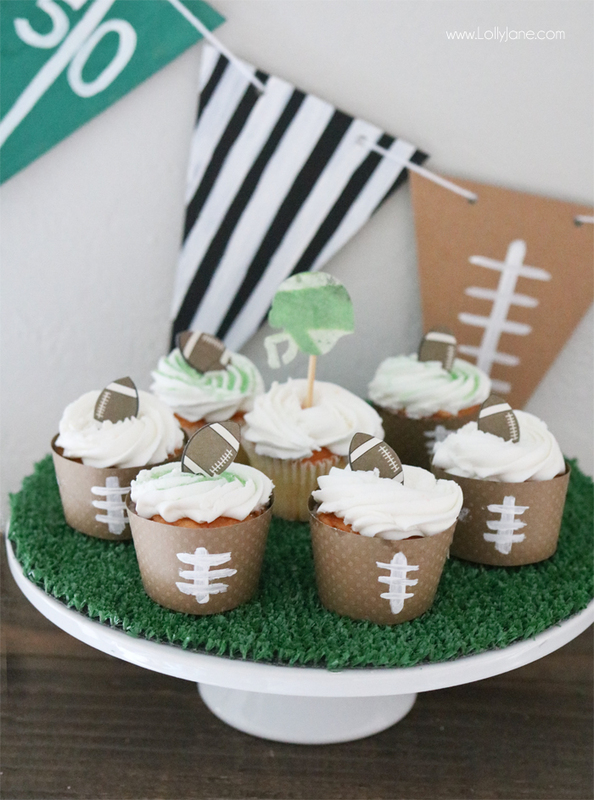 Top with green sprinkles or football topper! Seriously SO easy, and fun for the kids to help! Pretty simple, right? Want to see the EASIEST craft I’ve ever done that only takes one minute? Read on! Place cake stand upside down on astroturf mat. 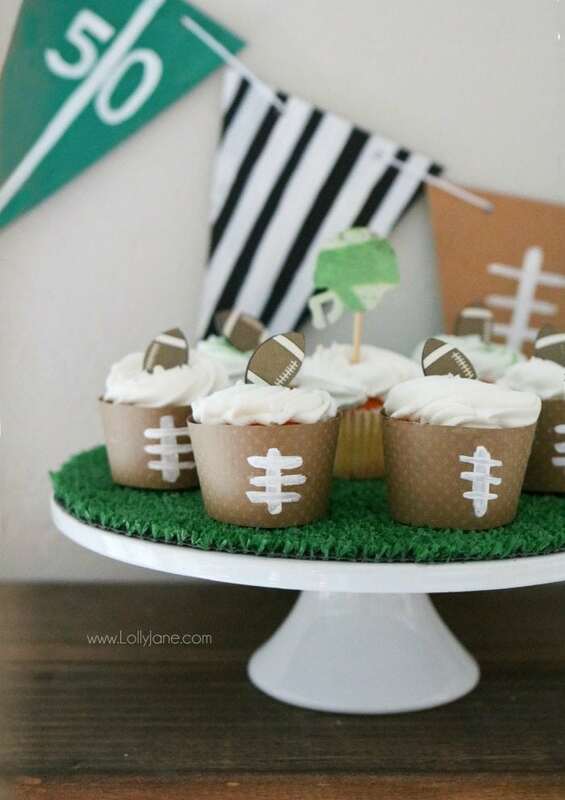 Top with cupcakes or large football cake, so cute! 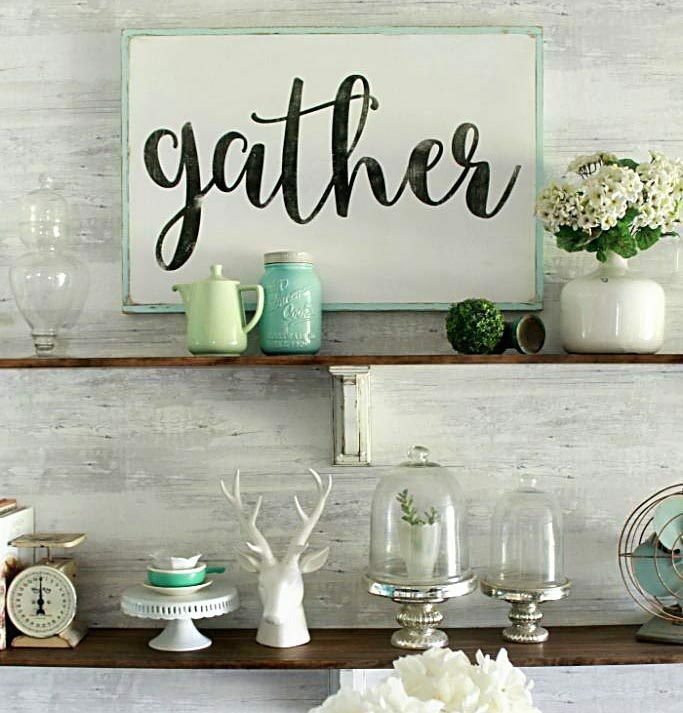 You’ll need 6 chipboard pennants with prepunched holes and green, black and white washable paint. Paint football “laces” on the 2 raw chipboard pennants. Set aside to let dry. Paint white vertical stripes on the black pennants and let dry. Lastly paint a vertical line down the green pennant and freehand a 1, 0 and 5 as shown. String yarn across and hang with a piece of tape on each side. 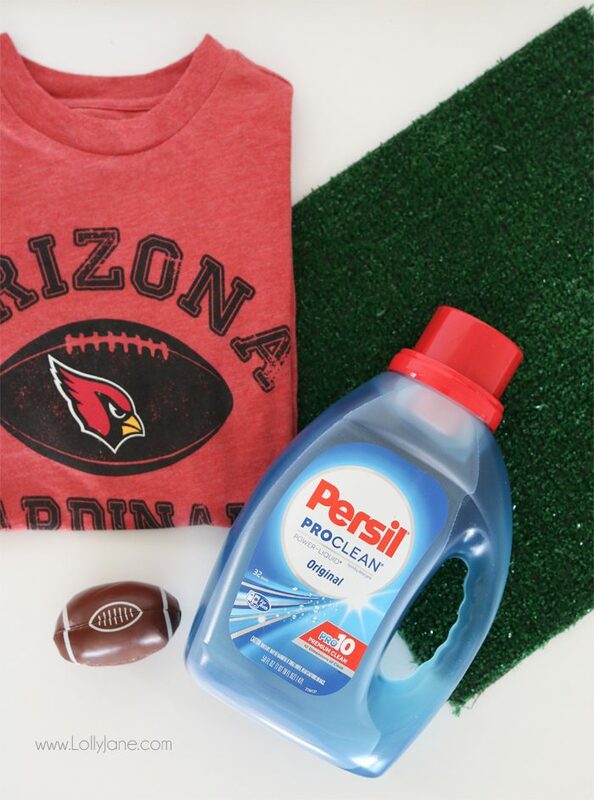 Persil ProClean to the rescue! 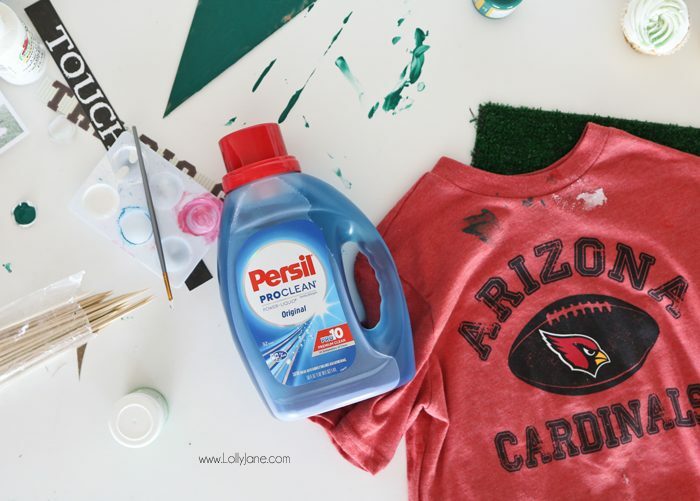 Besides tossing my clothes in the wash with a capful of Persil ProClean, I also use it on a washrag with a bit of warm water to remove tough stains like dried paint. 😉 Try the new & improved formula with 10 Dimensions of Clean, (snag a $2 coupon here!) in variety of Power-Liquid scents and Power-Caps. 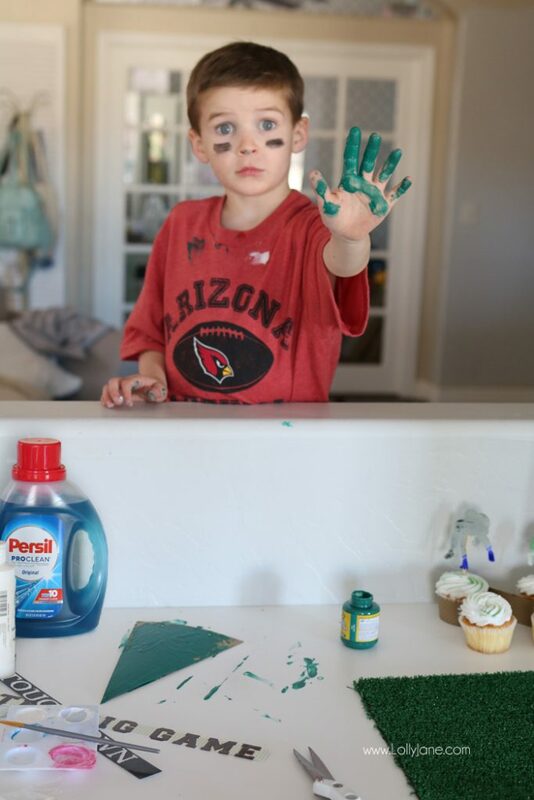 Oh and Persil’s site has awesome Laundry Tips for how to get specific stains out like blood, ketchup, mud, grass stains, grease, oil, crayons and yes, even face paint! 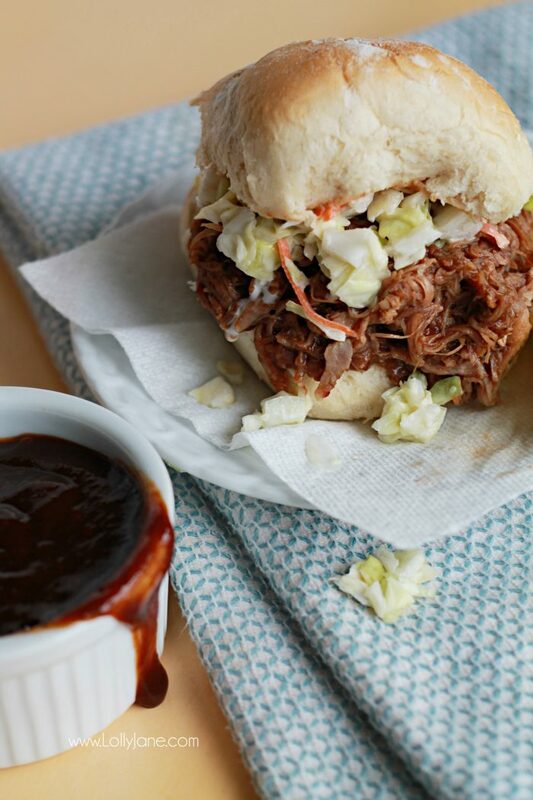 You’re going to be hungry on the big game day, try our Crock Pot Pulled Barbeque, mm! plus 21 Easy Dip Recipes, mm! Where do you find an astro turf mat? Oh rugby is such a fun sport! Aww Everything is SO pretty! Love that astro turf detail. How fun. Thanks for sharing at the #ThisIsHowWeRoll Link Party. 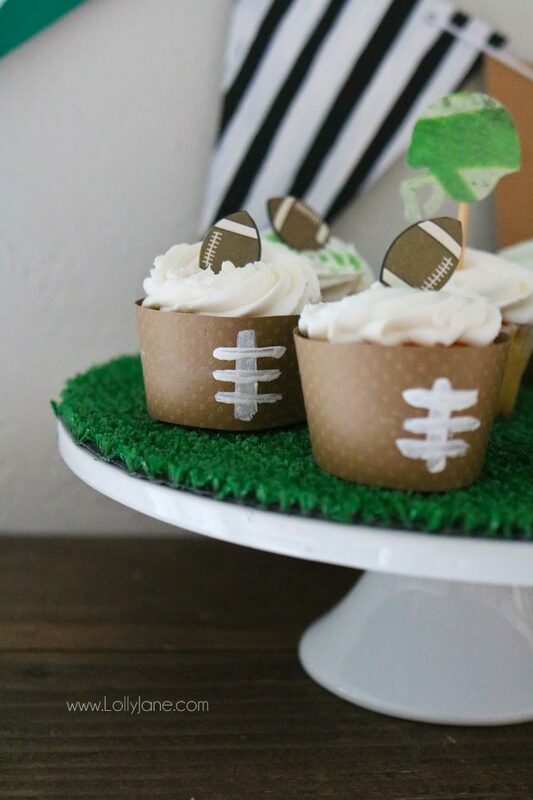 These are really nice cupcake holders, not only for the upcoming Super Bowl. It’s nice to have a cupcake that is more masculine. I love the frilly girlie unicorns etc. but little boys feel uncomfortable always having girlie stuff. Nice change. Thanks for sharing. 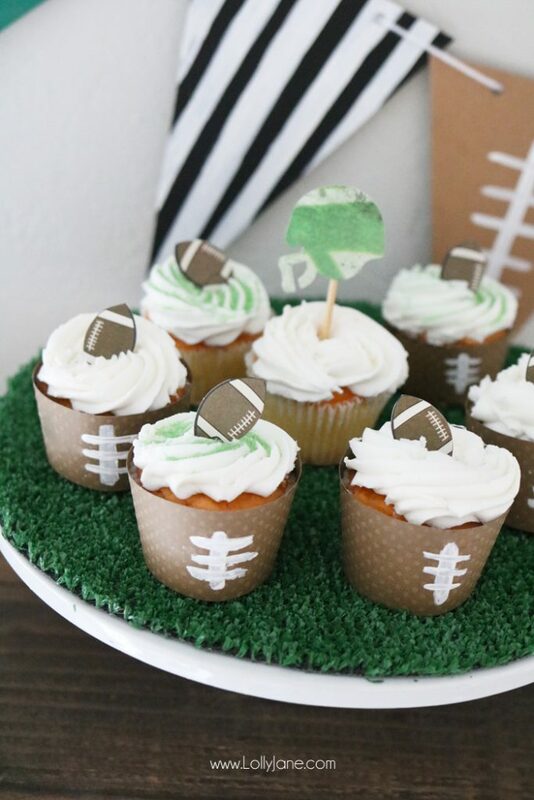 Those cupcake liners are so cute, what a fun idea! 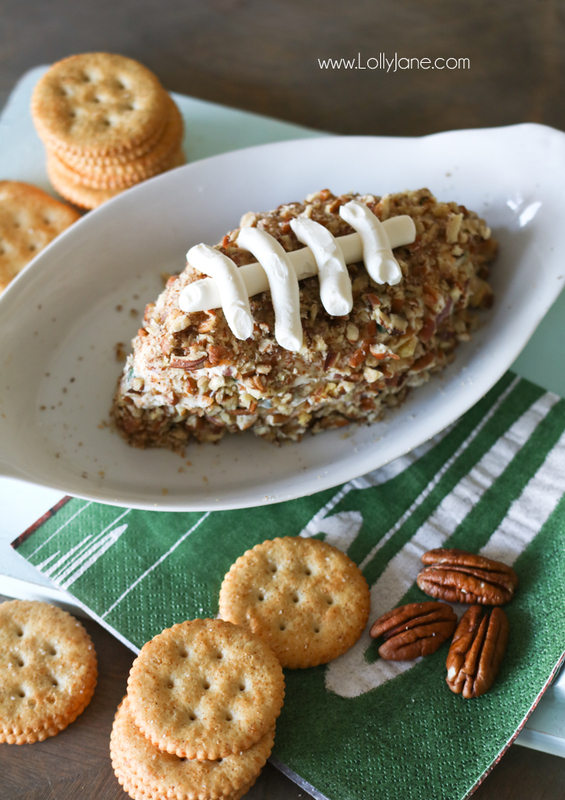 I like the bunting as well, and the football shaped cheese dip is very clever.